Timo is a free simple yet stylish resume template. Chronological format with a one-column layout. 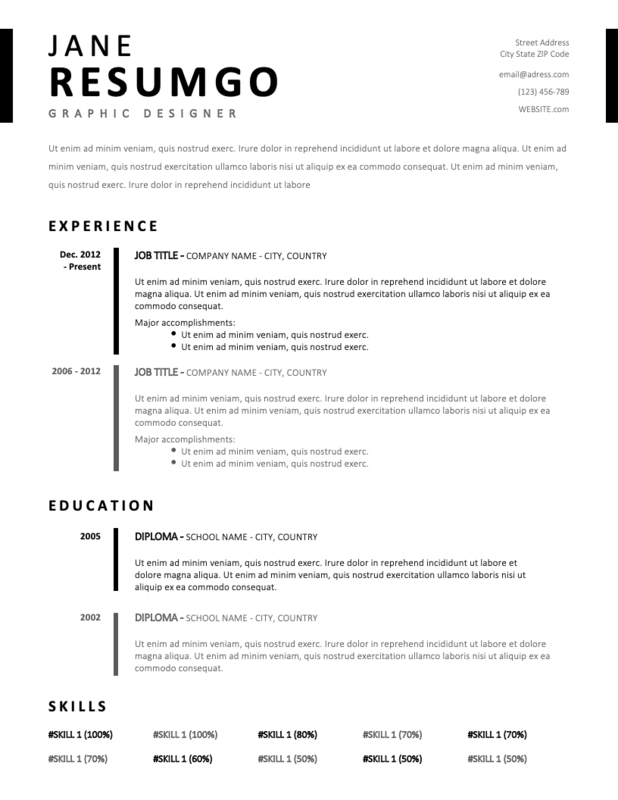 This resume template uses a white background and black text. It will organize your information simply… but efficiently! And there is no doubt that the subtly modern look will bring this template on your top list for your next (to be considered) curriculum vitae. Vertical thick lines are used as dividers between the years and your key experiences and education diplomas. Finally, in the lowest part of the template, you can list all your relevant skills.